[Free Pattern] Insanely Easy And Fast …This Baby Blanket Is A Total Stunner! This interesting and so gorgeous crochet pattern creates a solid, dense and warm textured fabric which you can use for many crochet projects. 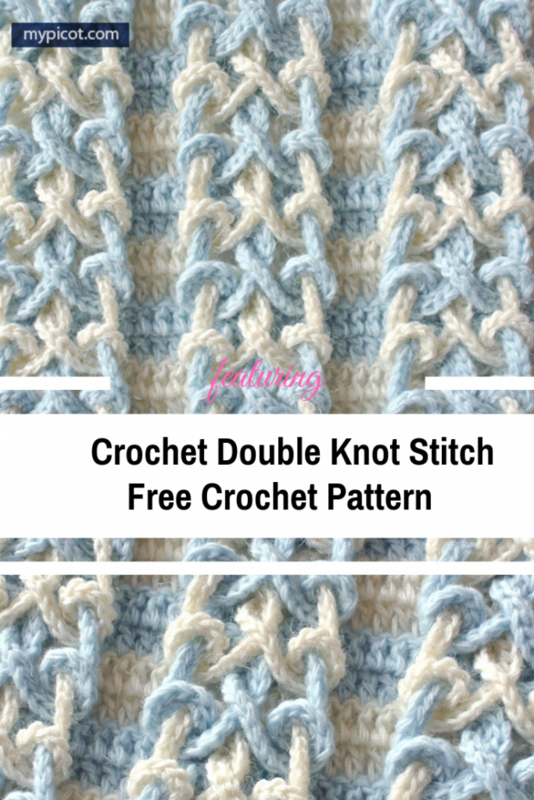 The Crochet Double Knot Stitch free pattern designed by MyPicot looks more difficult then actually is. The written pattern and the detailed photo tutorial make this stitch quite easy to crochet so give it a go. The pattern looks wonderful when done in two colors of yarn and the texture created is great for stunning afghans or spectacular rugs. The hook size is 4/0 – 2.5mm (Clover Amure). As rule, we use it almost for all simple & textured stitches. Thank you! 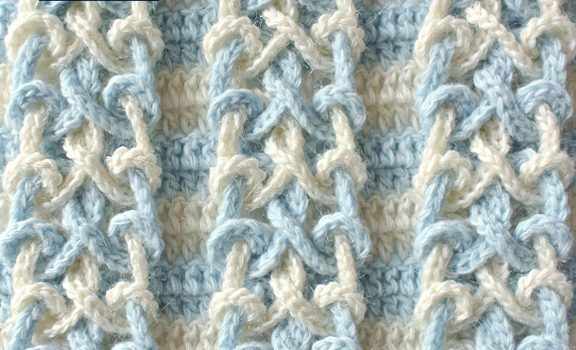 Check out theCrochet Double Knot Stitch free pattern with all the directions and full written pattern at: MyPicot . I am excited about starting this pattern.I hope I can make it look as pretty as it does in the picture.